Scrolling through the critical comments left on The Crimson White’s social media pages reveals a fairly consistent trend: Readers are unhappy with the level of bias found in the opinions section. 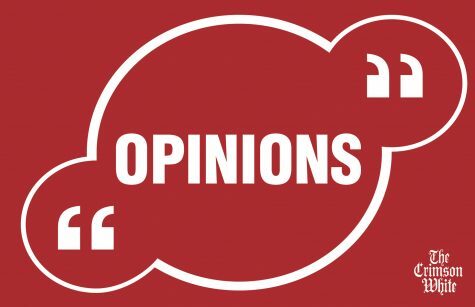 Some readers have voiced concern over columns, presuming that the view held by an individual columnist reflects the view of the publication as a whole. Many simply fail to understand that opinions columns are meant to be biased – they’re opinions. It is unfair to leave comments or send personal messages to columnists that accuse them of being bad or unobjective journalists, when really, objective journalism was never the goal. Readers are encouraged to voice their disagreements with an opinions column. 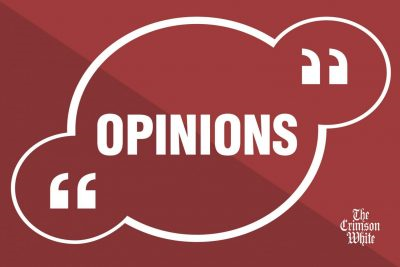 In fact, the best possible outcome for the opinions section is that after a column is published, it inspires other UA students to submit response columns so that their voice, too, can be heard on campus. However, it’s hard for our community to benefit in a meaningful way from engaging with columns when a fundamental misunderstanding of the purpose and nature of opinions columns is so prevalent in The Crimson White’s readership. The opinions section of The Crimson White provides columnists from a variety of backgrounds and with a variety of viewpoints with a platform through which they can voice their beliefs. While the news, culture and sports desks deliver objective content in the form of articles, the opinions desk produces subjective content in the form of columns, with topics spanning a variety of issues that affect those at The University of Alabama and in the Tuscaloosa community. In fact, the subjectivity of the opinions section is why we refrain from referring to opinions columns as articles. News, culture and sports articles inform readers about relevant issues, events and trends affecting the University and its surrounding community. The opinions sections instead strives to spark dialogue and debate, explain the reasoning that guides a particular belief or to attempt to persuade the reader. Sometimes, columns strive to create a little controversy with the hope that civil, well-informed debate can lead to growth on both sides. Before you see a column in the paper or on the web, it has been fact checked. Of course, mistakes can happen and facts might slip through the cracks, but columnists are required to incorporate facts and, often, statistical data, to defend their assertions. The Crimson White strives not to publish columns that are based solely on knee-jerk reactions or some instinctive belief that a columnist holds. Columns are subjective takes grounded in objective facts. A column that incites anger or indignation is not an inherently bad one. Rather, a bad column is one that is written like a news story – neutral, just-the-facts writing that is reluctant to take a stand. If you disagree with the premise of an opinions column, you are welcome to say so. If you’re a UA student, you are encouraged to submit a column to us at letters@cw.ua.edu. Civil, respectful debate is an excellent, hoped-for byproduct of an opinions column. However, if your complaint about a column is that it’s opinionated, your criticism is simply a false interpretation of the purpose of columns in general.